I’m excited about attending the Citizen Science Association (CSA) and American Association for the Advancement of Scientists (AAAS) meetings in San Jose, California this week, and I thought I’d tell you a bit about the citizen science-related events I’m looking forward to. I’ll write about other events and science news later, and in any case, check out the hashtags #CitSci2015, #AAASmtg and #AAAS2015 on Twitter for live updates. As I mentioned in an earlier post last fall, we’ve organized an AAAS session that is titled, “Citizen Science from the Zooniverse: Cutting-Edge Research with 1 Million Scientists,” which will take place on Friday afternoon. It fits well with the AAAS’s them this year: “Innovations, Information, and Imaging.” Our excellent line-up includes Laura Whyte (Adler Planetarium) on Zooniverse, Brooke Simmons (Oxford) on Galaxy Zoo, Alexandra Swanson (U. of Minnesota) on Snapshot Serengeti, Kevin Wood (U. of Washington) on Old Weather, Paul Pharoah (Cambridge) on Cell Slider, and Phil Marshall (Stanford) on Space Warps. I’ll be chairing the session, but they’ll be doing all the hard work. 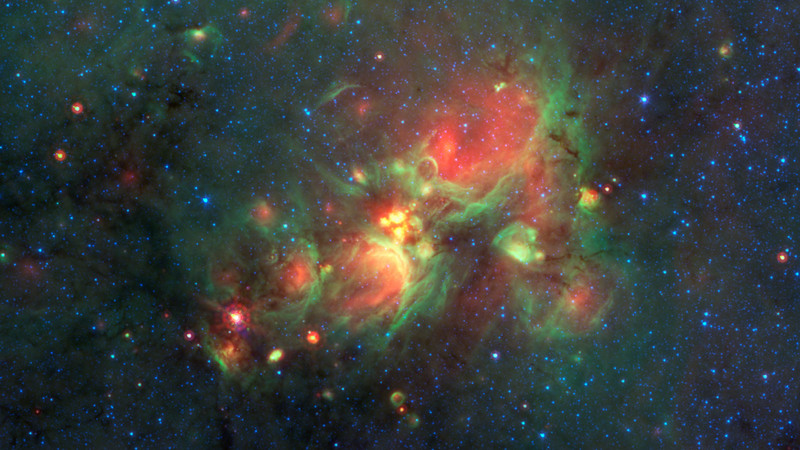 And in other recent news, citizen scientists from the Zooniverse’s Milky Way Project examined infrared images from NASA’s Spitzer Space Telescope and found lots of “yellow balls” in our galaxy. It turns out that these are indications of early stages of massive star formation, such that the new stars heat up the dust grains around them. Charles Kerton (Iowa State) and Grace Wolf-Chase (Adler) published the results last week in the Astrophysical Journal. The first day of the CSA meeting will include: many sessions on education and learning at multiple levels; sessions on diversity, inclusion, and broadening engagement; a session on defining and measuring engagement, participation, and motivations; a session on CO2 and air quality monitoring; a session on CS in biomedical research; and sessions on best practices for designing and implementing CS projects, including a talk by Chris Lintott on the Zooniverse and Nicole Gugliucci on CosmoQuest. The second day will bring many more talks and presentations along these and related themes, including one by Julie Feldt about educational interventions in Zooniverse projects and one by Laura Whyte about Chicago Wildlife Watch.